While speaking during a live television interview, an Edo cleric, based in Edo, identified as the prophet Tommy Yisa Aika, predicted that Nigeria will be the first in Africa to lift the World Cup. The man of God went further to demand that the Nigerians pay him N750,000 to pray for the Super Eagles to win the 2018 World Cup in Russia. He said that God is interested in Nigeria's Super Eagles conquering the world at the 2018 World Cup Russia "but since we have disobeyed God as a result of our indifference to his directive that we should not involve a white man to lead our team, we can lose this golden opportunity that may not come back to us for another sixty years. " To appease God, the Prophet Aika volunteered to intervene with his more than 60 prayer warriors, who are waiting, to carry out incessant prayer sessions "so that the destroyed can readjust and grant them the divine favor of the Super Eagles throughout the tournament. " He is asking for the sum of N750,000 for the prayers that will bring the Super Eagles victory. He said: "What I need is an N750,000 token (seven hundred and fifty thousand naira) to obtain some spiritual materials and also to give my prayer warriors as honourarium. 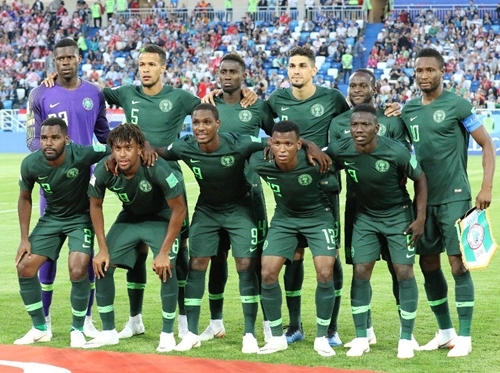 "This (no inclusion of a Whiteman in the Super Eagles team) has been the message that I have been transmitting to our football authorities in recent years, but that has always been ruled out, those who know me can attest to this."